Ernest Wollan (left) and Clifford Shull work with a double-crystal neutron spectrometer at the ORNL X-10 Graphite Reactor in 1949. Neutron scattering grew from the nuclear science of the Manhattan Project during the 1940s at what is now Oak Ridge National Laboratory (ORNL). Today the Department of Energy (DOE) lab in eastern Tennessee operates two powerful neutron scattering facilities for DOE’s Office of Science—the High Flux Isotope Reactor (HFIR) and the Spallation Neutron Source (SNS). For over 70 years, neutron scattering has been an invaluable tool for researchers to investigate the fundamental properties and behaviors of energy and materials at the atomic scale. 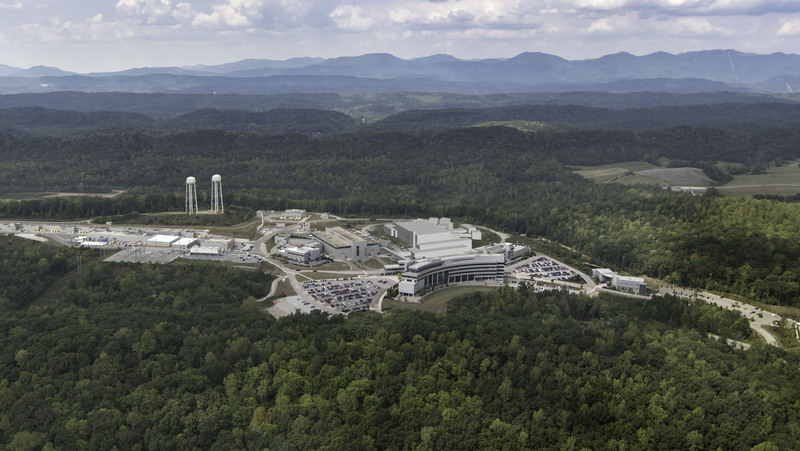 Neutron scattering at ORNL has also played an important role in helping the U.S. Department of Energy (DOE) fulfill its mission of addressing energy, environmental and nuclear challenges through transformative science. Applying the powerful technique continues to improve materials that enable modern life. For example, it helps scientists develop more effective medicines, more efficient fuels, stronger buildings, lighter vehicles, advanced electronics, and more. ORNL’s two facilities together offer more than 30 specialized beamlines that attract more than 1,000 researchers each year from government, academia, and industry around the world. Their peer-reviewed proposal process for beam time is highly competitive; many instruments are oversubscribed by nearly 3 to 1. Like x-rays, neutrons are used to see inside materials at the atomic scale. Because they have a magnetic moment, neutrons are ideal probes for studying magnetic materials used in a wide range of electronic devices such as hard drives and smart phones. They also offer myriad insights into chemical and biological processes because of their sensitivity to light elements such as hydrogen and lithium. For instance, in the past decade, neutrons have played an essential role in advancing the understanding of lithium battery materials. Neutrons were discovered by English physicist Sir James Chadwick in 1932. A little more than a decade later, two ORNL scientists would be the first to truly harness the particle’s analytical properties and pave the way for a rapidly expanding field that today employs thousands around the world. 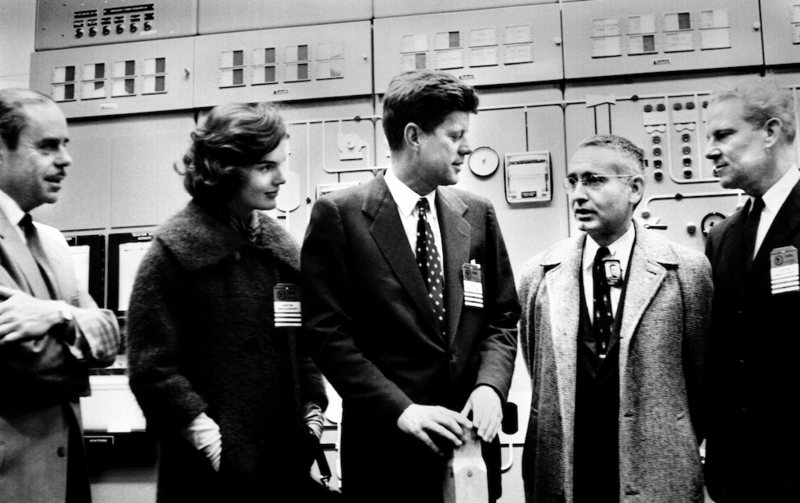 In attendance was physicist Ernest Wollan, who traveled a year later to ORNL—then known as Clinton Laboratories—to witness the start-up of the X-10 Graphite Reactor. for neutron experiments at the X-10 pile. 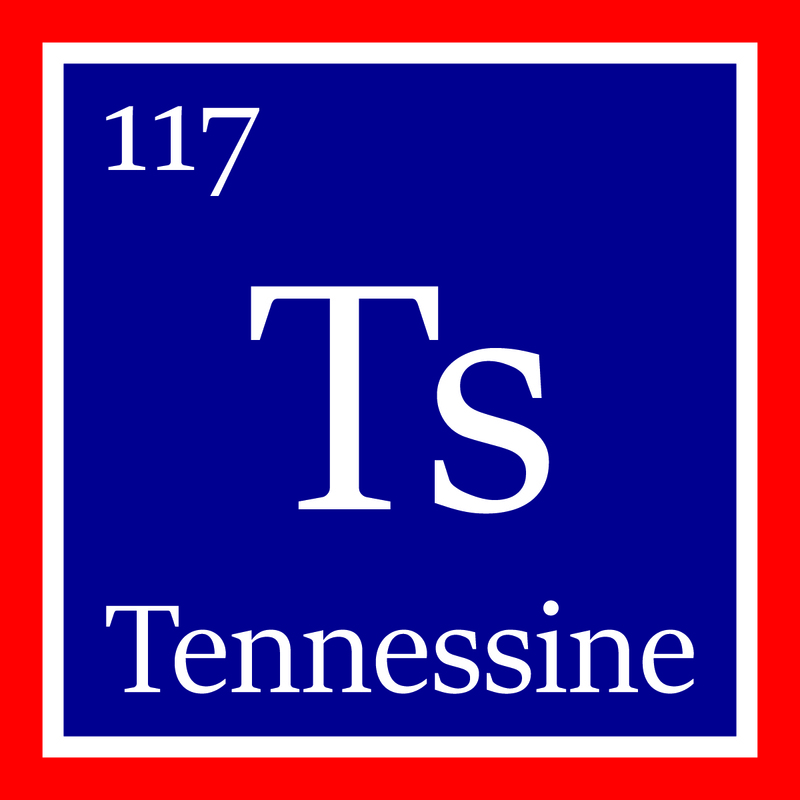 Wollan soon moved to Oak Ridge to begin work at the one-of-a-kind facility, which was the first nuclear reactor built for continuous operation, 1,000 times more powerful than Fermi’s Chicago Pile-1. During the Manhattan Project, he studied the use of neutrons to measure nuclear materials. That experience, along with his background in x-ray scattering, quickly led him to realize the potential neutrons held as a powerful new method for studying a much wider range of materials. 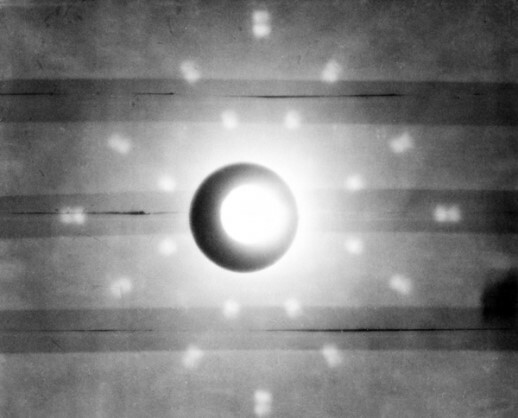 “That particle called the neutron became my absorbing interest,” Wollan said at the time. 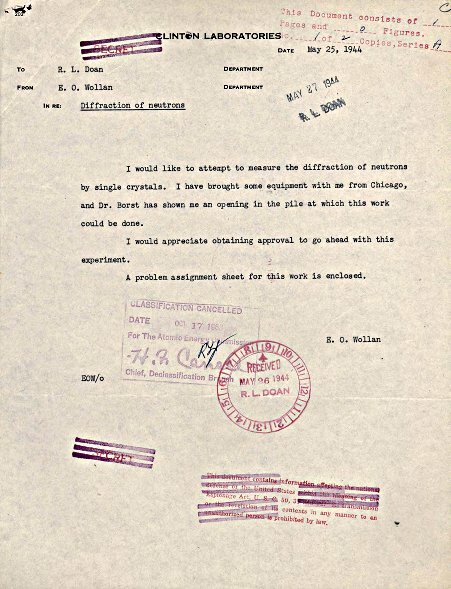 As rumor has it, Wollan left Chicago in the dark of night with an x-ray diffractometer that he would later retrofit to become the world’s first neutron scattering instrument. In 1944, he wrote a research proposal asking for funding to use the equipment he brought with him from Chicago to measure the diffraction of neutrons using single crystals, identifying an opening in the reactor in which the work could be done. His proposal was accepted, and shortly thereafter Wollan successfully made the first powder diffraction measurements recorded using neutrons. In 1946, impressed by Wollan’s results, physicist Clifford Shull accepted his colleague’s invitation to work alongside him at the Graphite Reactor to further develop the technique. Shull’s addition had a profound and immediate impact, so much so that he would later be awarded the Nobel Prize in Physics in 1994 for his contributions to the field. In his acceptance speech, Shull expressed his regret that Wollan had not lived to share the award. Their collaborations quickly led to the construction of the first instrument exclusively for neutron scattering—the double-crystal neutron spectrometer—as well as the adaptation of automated data recording, which took the place of pen and paper and allowed researchers to collect data overnight. 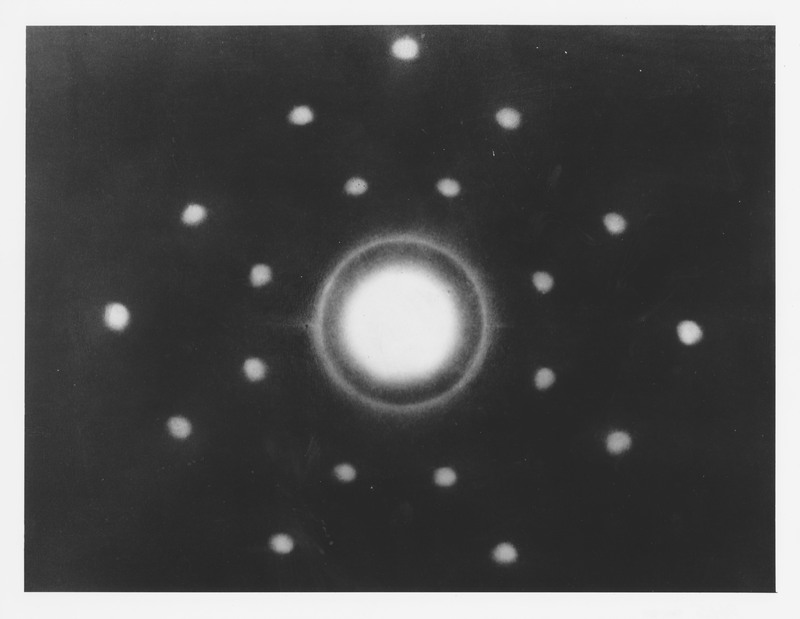 By 1955, the two pioneers had measured scattering patterns from more than 100 elements and 60 different isotopes. A prolific class of successors emerged who would continue to push the field forward and, in turn, mentor what is the present-day neutron scattering workforce. first measurement of magnetic moment distributions in 3d-electron alloys. Wollan, Shull, and Milton Marney in 1948 at the Graphite Reactor. to be created using Scotch tape to join several strips of indium. The Oak Ridge Research Reactor (ORR) went into production in 1958. Operating at 20 megawatts, the ORR had a neutron flux 100 times more intense than its predecessor. The programs that used the Graphite Reactor were transferred to the ORR, enabling new kinds of science and achievements, and in many ways paving the way for the lab’s next major milestone. 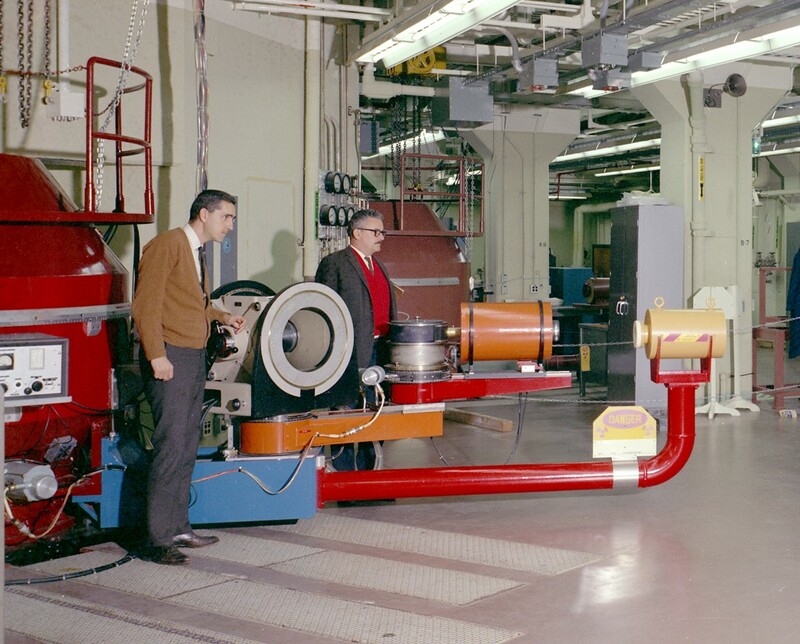 In the mid-1960s, ORNL built the HFIR, primarily for studies of irradiated materials and the production of transuranic isotopes—heavy elements such as plutonium and curium that fall beyond uranium on the periodic table. During HFIR construction, then-lab Director Alvin Weinberg wanted to continue the growth of ORNL’s neutron scattering program. He insisted four ports be installed from the reactor’s core to accommodate new beamline instruments capable of conducting more advanced experiments using HFIR’s 100 megawatt peak capabilities. In the early 1960s, an inelastic neutron scattering group was formed to investigate the dynamical properties of atoms in solids using the first triple-axis spectrometers in the United States. 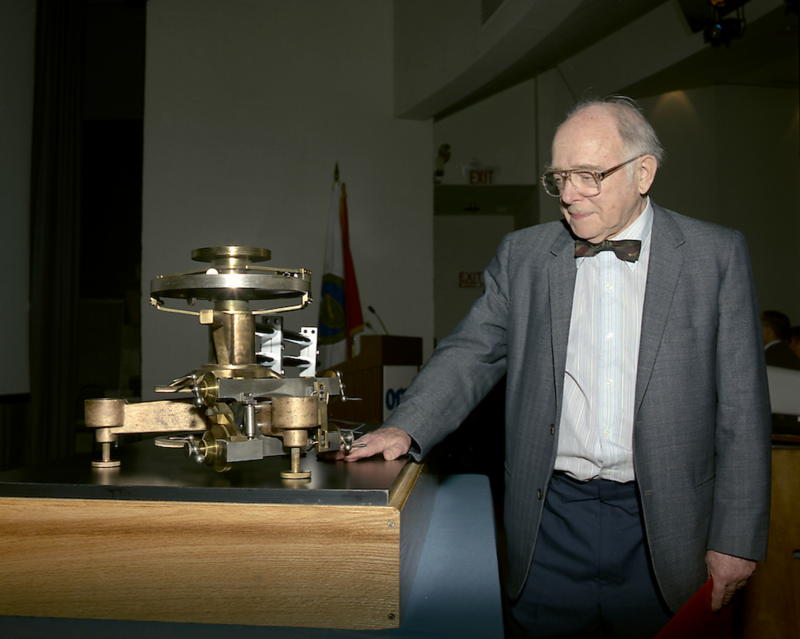 It was based on the instrument developed at Chalk River Laboratories in Canada by Bertram Brockhouse—who shared the 1994 Nobel Prize in Physics with Clifford Shull. the foundations of neutron polarization analysis in 1969.
scattering technology that determines where atoms are in a crystal. The distinguished group, formed by Michael Wilkinson and Harold Smith, included Herbert Mook, Robert Nicklow, and Nobuyoshi Wakabayashi. They complemented ORNL’s original neutron diffraction group of Wollan, Wallace Koehler, Ralph Moon, Joe Cable, and Ray Child. These two groups combined, according to many of their colleagues, became one of the most prestigious teams in the history of neutron scattering. discovering phonons and magnetic excitations in high-temperature superconductors. 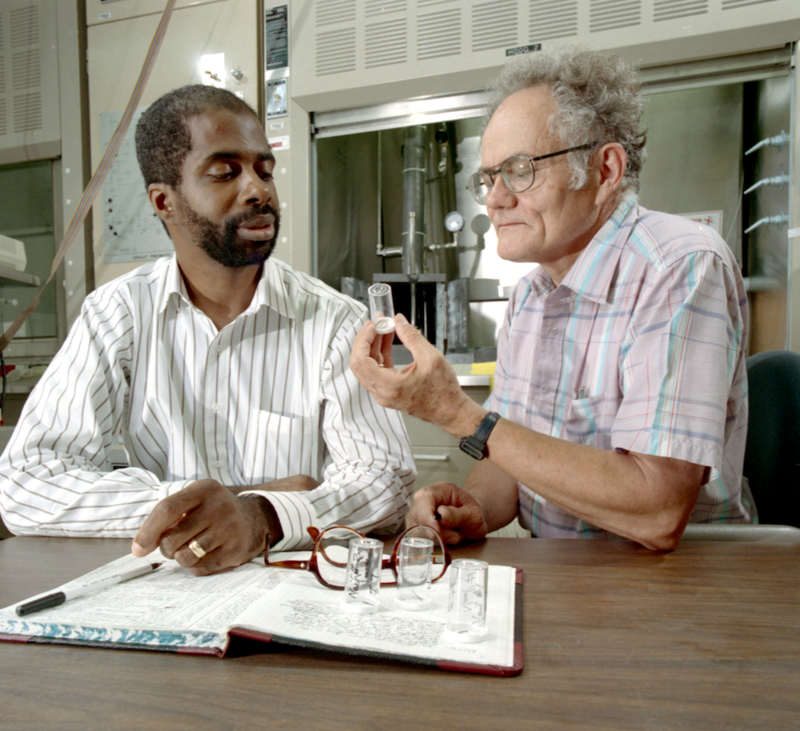 In 1980, advancements in HFIR’s instrumentation would expand the program’s capabilities to study polymers, colloids, and metallurgy using the first small-angle neutron scattering facility in the United States, which was supported by an interagency agreement between DOE and the National Science Foundation. Research opened in 1980, and continues to operate today. 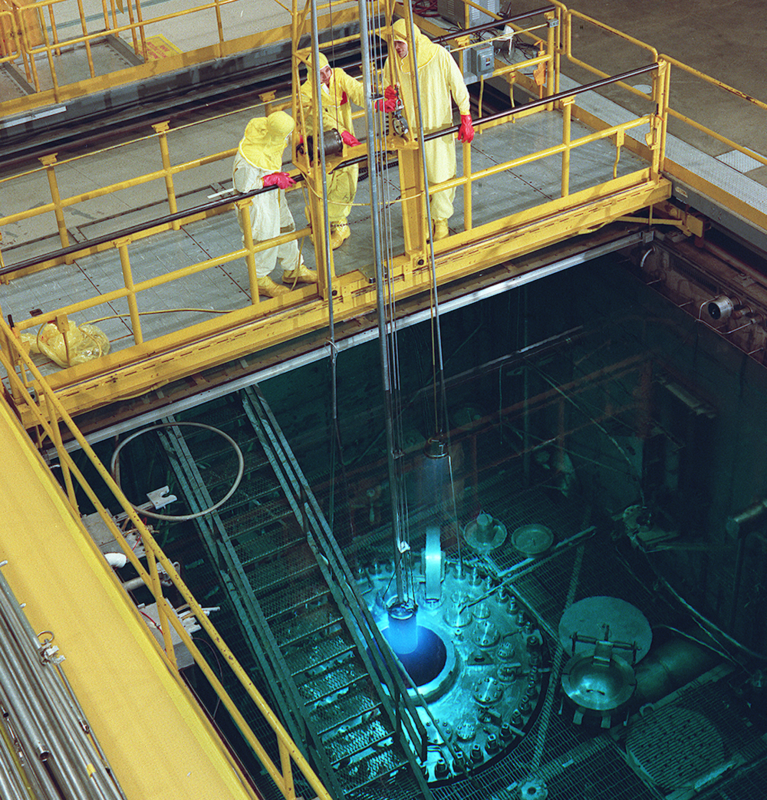 In the early 2000s, HFIR added powerful refrigeration systems to cool the reactor’s neutrons to temperatures nearly 10 times colder than the South Pole. With slower and longer wavelengths, the cold source neutrons opened up opportunities to study more complex soft matter materials, such as proteins and polymers. In 2015, HFIR achieved its 50-year milestone and was recognized as a Nuclear Historic Landmark by the American Nuclear Society. In 2017, the research reactor was designated an international center for research and development, recognized by the International Atomic Energy Agency, making the United States one of four countries in the world to receive the honor. Operating at an average 85 megawatts, HFIR continues to be one of the world’s most powerful reactor-based sources of neutrons for research. Over the years, the reactor has significantly expanded its neutron scattering instruments from 4 to 13. They have been used to gain fundamental insights into magnetism and superconductivity, advance the development of polymers, and unlock secrets of biological structures and their behaviors. Within the next few years, HFIR will undergo another series of upgrades that will provide additional instrument end stations, improve neutron beam delivery, and expand its isotope production capacity, all to continue its unique neutron scattering capabilities well into the future. Space Flight—Production of plutonium-238 offers long-range capabilities to radioisotope power systems used by NASA for deep space exploration. New Elements—HFIR’s exclusive production of berkelium-249 was vital in the discovery of Tennessine, element 117, one of the four newest elements on the periodic table. Criminal Forensics—Neutron activation analysis was used to debunk the conspiracy that US President Zachary Taylor died of arsenic, suspected because of his opposition to slavery. the president died of arsenic poisoning in 1850. Between the mid-1980s and 90s, the United States conducted a series of studies into the country’s need for major science facilities . 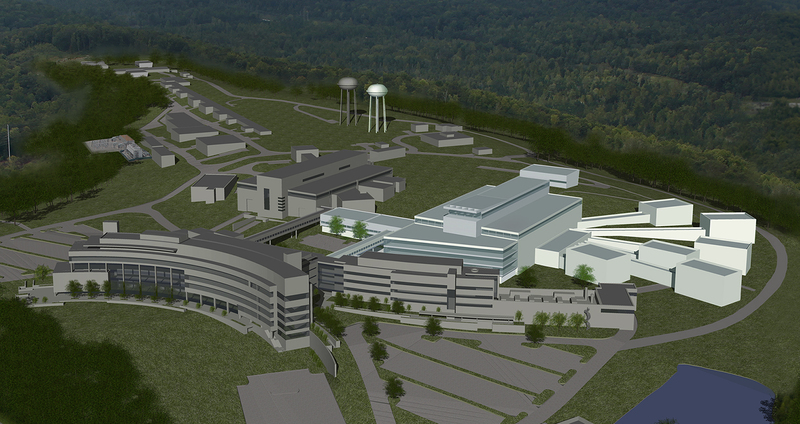 As a result, it was decided to build a second neutron source at ORNL, one dedicated solely to neutron scattering. The so called third-generation facility was designed and constructed by an ORNL-led team with significant contributions from Argonne, Brookhaven, Lawrence Berkeley, and Los Alamos national laboratories, as well as the Thomas Jefferson National Accelerator Facility. In 2006, the SNS came online. Today, SNS is the most powerful pulsed accelerator-based neutron scattering facility in the world. a neutron source on time, on budget, on scope, and on target. There, neutrons are generated by propelling protons down an accelerator at nearly 90% of the speed of light until they smash into a liquid mercury target. When the protons collide with the mercury atoms, neutrons are released and sent through vacuum tubes to the facility’s 19 surrounding instruments for research. 4.8 x 10e16 neutrons per second. 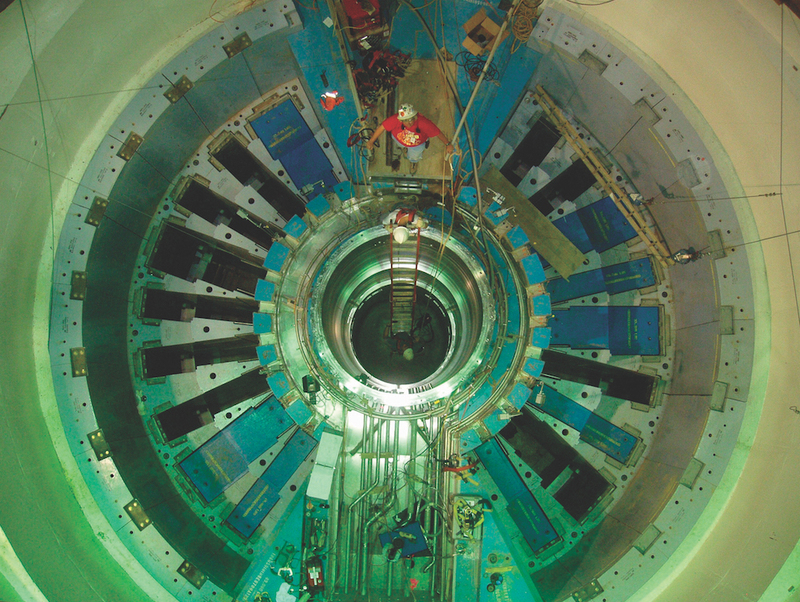 SNS operates at power levels up to 1.4 megawatts, providing the most intense pulsed neutron beams in the world and providing measurements of greater sensitivity at higher speeds, higher resolutions, and in more complex sample environments. Thermoelectrics—elucidated lead telluride’s low thermal conductivity for promising electronics capable of transforming heat into electricity . Quantum Materials—observed evidence for magnetic Majorana fermions associated with materials exhibiting long-sought Kitaev quantum spin liquid behavior. Theory suggests that such particles might be used as the basis of “qubits” for use in a quantum computer . Cell Membranes—provided the first nanoscale look at a living cell membrane (with contributing measurements from HFIR), resolving a long-standing debate regarding the existence of “lipid rafts,” a likely key to cell functionality . Magnetism in Plutonium—revealed magnetism exists in a constant state of flux, which helped explain abnormal changes in plutonium’s volume in its different phases . Running Engines—performed first-of-a-kind in situ investigations into how new aluminum alloys perform under the heat and stress of a running gasoline-powered engine in real time . The neutron scattering community recognized the need for a second target station even as SNS was being built, anticipating growing demand for neutrons and an accelerating pace of discovery. Thus much of the facility’s infrastructure was designed to accommodate upgrades. An example is the development of a second target station capable of supplying neutrons for new classes of advanced scattering instruments. ORNL is planning a Proton Power Upgrade to double the SNS accelerator’s peak performance from 1.4 to 2.8 megawatts. Simply stated, more power means more neutrons, and more neutrons mean new and better science and faster times to solutions. The power boost will accommodate a second target station with a new suite of instruments for new types of advanced research. Article originally published in Neutron News. C. G. Shull, “Physics with Early Neutrons,” presented at the Conference on Neutron Scattering, Gatlinburg, Tennessee, June 6–10, 1976. C. G. Shull, W. A. Strauser, and E. O. Wollan, Phys. Rev. 83, 333 (1951). C. G. Shull, E. O. Wollan, and W. C. Koehler, Phys. Rev. 84, 912 (1951). C. G. Shull, E. O. Wollan, G. A. Morton, and W. L. Davidson, Phys. Rev. 73, 842 (1948). R. M. Moon, T. Riste, and W. C. Koehler, Phys. Rev. 181, 920 (1969). A list of reports issued from 1977 through 1988 can be found in Neutron Sources for America’s Future: Report of the Basic Energy Sciences Advisory Committee Panel on Neutron Sources (W. Kohn, Chair), DOE/ER-0576P, U.S. Department of Energy, Office of Energy Research, Washington, DC, January 1993. O. Delaire et al., Nat. Mater. 10, 614–619 (2011). A. Banerjee et al., Science 356 (6342), 1055–1059 (2017). J. D. Nickels et al., PLoS Biol. 5, 15 (2017). Marc Janoschek et al., Sci. Adv. 1 (6), e1500188 (2015). Zachary C. Sims et al., Mater. Horiz. 4, 1070–1078 (2017).